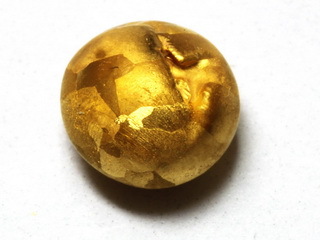 This metal has been known since prehistoric times Gold is a soft metal with a characteristic yellow color. 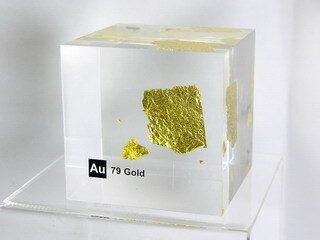 It is the most malleable and ductile of any element. 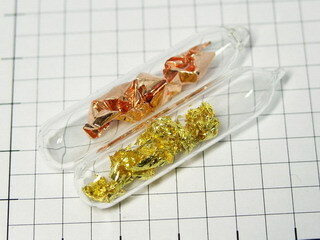 It is unaffected by air, water, alkalis and acids, with the exception of "aqua regia", HNO3/HCl. 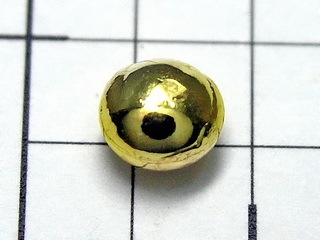 The fact that it is chemically unreactive means that it is often found in its natural state. 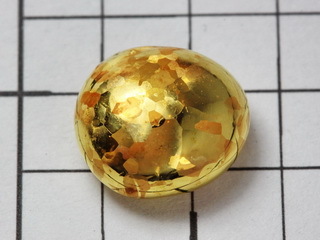 It is a good thermal and electrical conductor and has excellent reflective properties to both light and infrared. 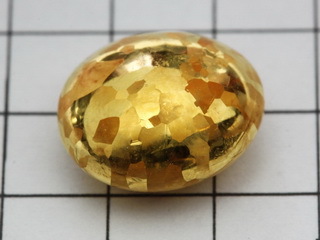 It has an abundance in the earth's crust of 0.0011 ppm. 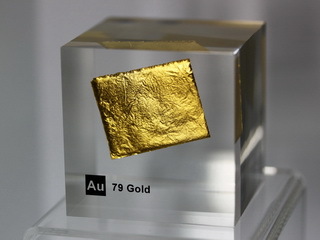 Most of the metal is retained for use as bullion reserves, but some is used within the electronics and jewellery industries, where it is frequently alloyed with other elements to improve the mechanical properties of the metal (e.g. copper and silver). Other uses for the metal are as a heat reflecting coating for glass as well as as a decorative medium. GOLD 24K precision density-standard cube 1cm3 -19.32g NEW! 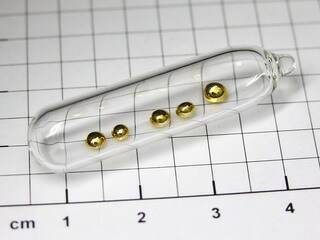 Amount: 1 St. / 1 pc..
Nice Gold doped glass bead - Gold ruby glass. NEW! Amount: 1 St. / 1 pc. 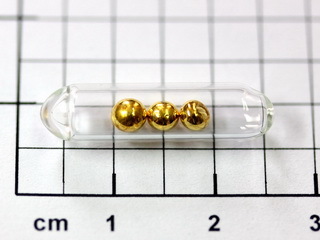 18K Purple Gold bead 805mg in ampoule - Rare!